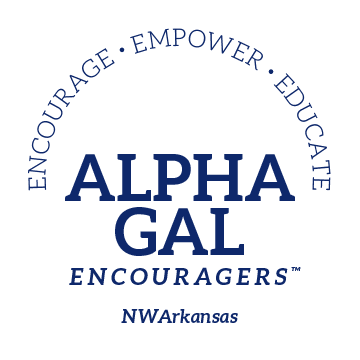 Our goal is to promote compassion, encouragement, health, understanding, in an effort to hopefully save and improve the lives of others who may be afflicted with Alpha Gal Syndrome by increasing public awareness. Our mission is 3-fold … Encourage and support each other ~ ~ Empower – In addition to Social Media, meet monthly to share resources, research, ‘safe’ products, recipes, restaurants, menus, etc. ~ ~ Educate – Be proactive – inform our local communities by developing contacts, cards, fliers, brochures & information to distribute to local hospitals, emergency rooms, clinics, doctors, pharmacies, emergency medical services, restaurants, etc. Whether you are an Alpha ‘Gal’ or ‘Guy’, a supportive spouse, father, mother, family and friends are all welcome to join the Facebook group. It is a closed group since we do discuss health issues, but please feel free and request to join. You are NOT alone! Remember we are stronger together. Just because we have Alpha Gal Syndrome, it does not define who we are!